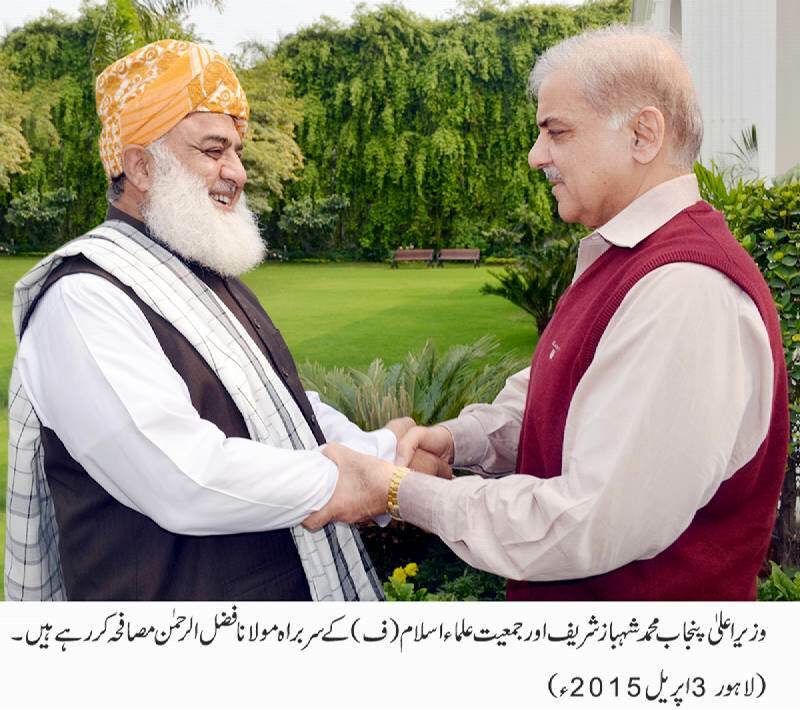 Lahore: Leader of Jamiat Ulema Islam (F) Maulana Fazal ur Rehman called on Punjab Chief Minister Muhammad Shahbaz Sharif, here today. Matters of mutual interest, political affairs and overall situation of the country were discussed in the meeting. Speaking on the occasion, the Chief Minister said that Pakistan is passing through a critical phase of its history. He said that the whole nation is determined to eliminate terrorism and extremism and this menace will be rooted out with the force of national unity. He said that collective efforts are needed in the war for the survival of the country. He said that government is making sincere efforts with the support of all political parties for the solution of the problems being faced by the country.